Latest Himachal Pradesh Govt jobs 2019-20 all upcoming and current job notifications for 10th, ITI, diploma, degree and 12th pass govt jobs in HP. The government of HP releasing no of vacancies every year in various govt departments, So if you are looking for free job alert in HP then you are at right place. Candidates who are preparing for Examination in HP for government depts like HPPSC, HRTC, HP Police, HPSSSB, HPSEB, Himachal Pradesh Tourism Development Corporation Limited or HP Forest Department can apply for all available and current govt jobs in Himachal Pradesh. A job seeker from Himachal Pradesh can get all information of Central and HP State government jobs from this page. Check below list of recently released job posts for which you can apply application form. Many Job applicants are looking for upcoming jobs in Himachal Pradesh. On this page, we have updated all the current jobs and upcoming HP govt jobs list 2019-20 also as soon as it will be live we will provide all requirements like Educational qualification, age limit, salary, how to apply, Application fee, Syllabus, Results, answer key or whatever information related to job post. So if you are preparing for any government examination then bookmark our website to get hp free job alert 2019. Good news for the job seeker who is looking for jobs in Himachal Pradesh in private sector that not only government vacancies, there are multiple options for candidates who are looking for new private jobs in HP. If you are interested in the banking sector the multiple private bank jobs in Himachal Pradesh are released by banks like HDFC Bank, Axis, ICICI and many other banks. Other than banking other various jobs in Himachal Pradesh private sector are available like Private Universities, College, schools and other private organization. If you are looking for a post in Capital city then you must try in various organizations who offer private jobs in Shimla. If you need any help to get government free job alert HP or job alert in private sector then please write back to us. Job Seeker looking for jobs in teaching line can check the list of full time or part time teaching jobs in HP from the above table of current job vacancies. Many organizations in HP are recruiting teaching and non-teaching staff every year to interested candidates can apply application for current teaching jobs in Himachal Pradesh colleges, School or university. you can check all job vacancies in Arts, commerce, medical and engineering college teaching jobs in Himachal Pradesh. aspirants who looking posts near your place in any private institute then also there are many opportunities in private teaching jobs in Himachal Pradesh. On this page, you will get all employment news in HP 2019 (हिमाचल प्रदेश में सरकारी नौकरियों की जानकारी) for job seekers who are looking for government jobs in Himachal Pradesh. Candidates who have passed their 10th, 12th class can check above mentioned all the relevant recruitment notification in Hindi also by going to Hindi version of the job post. If you wanted to any upcoming and expired employment news HP then also you need to search it on any pages as all the detail forthcoming and expired posts along with recent government jobs in Himachal Pradesh is available on our website. After passing class 12th many guys start searching for jobs and Himachal Pradesh Government is also looking to hire candidates. Aspirants who have passed Higher secondary can apply for 12th pass govt jobs in HP 2019. Candidates can check all the eligibility criteria and requirements on SabhiJobs.com. We are providing Fresh government jobs updates in Entire India. If you are searching for HSC jobs in HP then don’t just sit and wait, Start searching Highest paid HP Government Jobs in 2019 with us. Applicants who have completed their education in nursing and looking for staff nurse vacancy in Himachal Pradesh, can get all live government job in Himachal Pradesh and apply various job posts of ANM, GNM. Every year multiple vacancies are being released by Government department in Himachal Pradesh and if you wanted to join after completing your nursing course then check all the available posts and apply application form for the same. Aspirants who do not want to write the examination to get good government then they also another offer to get good HP Govt job. The government of Himachal Pradesh recruits govt jobs in Himachal walk in interview 2019 for which eligible and interested candidates can go and attend the interview. as you might have seen in the above table where the walk-in date is given, so just open those job notifications to see the eligibility criteria. If your profile is matching with the organization requirements then apply for the job online. 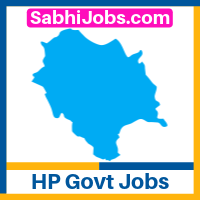 Anyone looking for Himachal Pradesh Sarkari Naukri 2019 should check the HP Govt jobs page of our website sabhijobs. All Details related to any current and upcoming Sarkari Naukri in Himachal Pradesh is updated by our team. All job vacancies in HP released by Sarkari vibagh are listed here, even if you are checking posts by the department you will get the updated list. So if you are looking for HP free job alert then bookmark our page to stay updated.